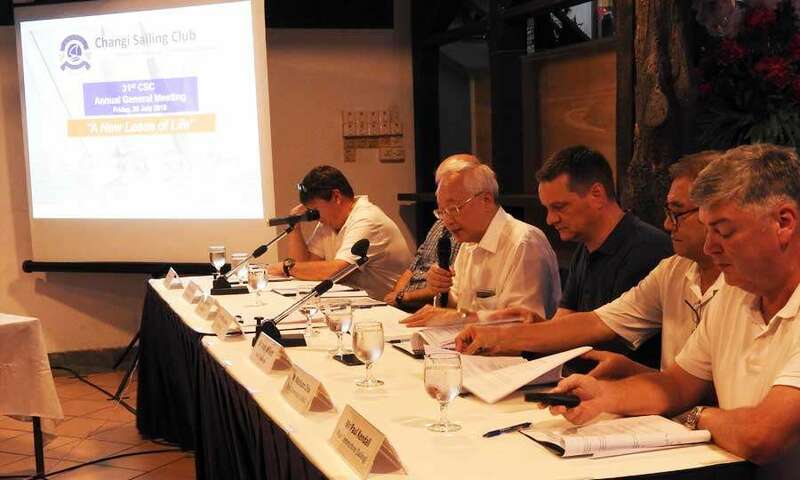 Notice is hereby given for the 31st Annual General Meeting of the Changi Sailing Club which will be held at the Tekong Cove on Friday, 20 July 2018 at 7.00 p.m. Buffet dinner will be served from 6.00pm onwards. Nominations for the election of the foregoing membership on the Committee must be submitted by completing the attached nomination form. The completed form with signatures of the candidate, proposer and seconder, must reach the Honorary Secretary at the Club Office no later than 3.00 p.m. on Friday, 13 July 2018. Copies of the nomination forms received will be posted on the Club’s official notice board. All members who are eligible to vote must cast their votes in person or may appoint a proxy to do so on their behalf (refer to Club Rules Clause 35). Appointment of the proxy for the purpose of voting in the meeting must be done in writing by completing the attached Proxy Form. The duly completed original Proxy Form must reach the Honorary Secretary at the Club Office no later than 3.00 pm on Thursday, 19 July 2018. Please register and collect your voting form before 7.00pm on Friday, 20 July 2018 at the reception office. The Annual Report and Accounts for the year ended 31st March 2018 will be posted on the website by Monday, 16 July 2018.